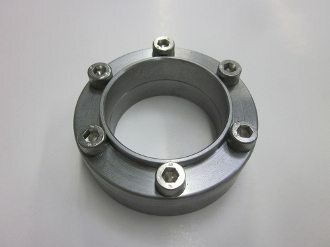 Our Bay bar flanges are sold in pairs (4 total pieces). They are universal and can be used in just about any vehicle. These flanges are designed to weld to your optional sub-frame upper rails in the engine bay to make them removable, but are not limited to this. They can be used in any situation needed to make an 1-3/4″ tube removable.